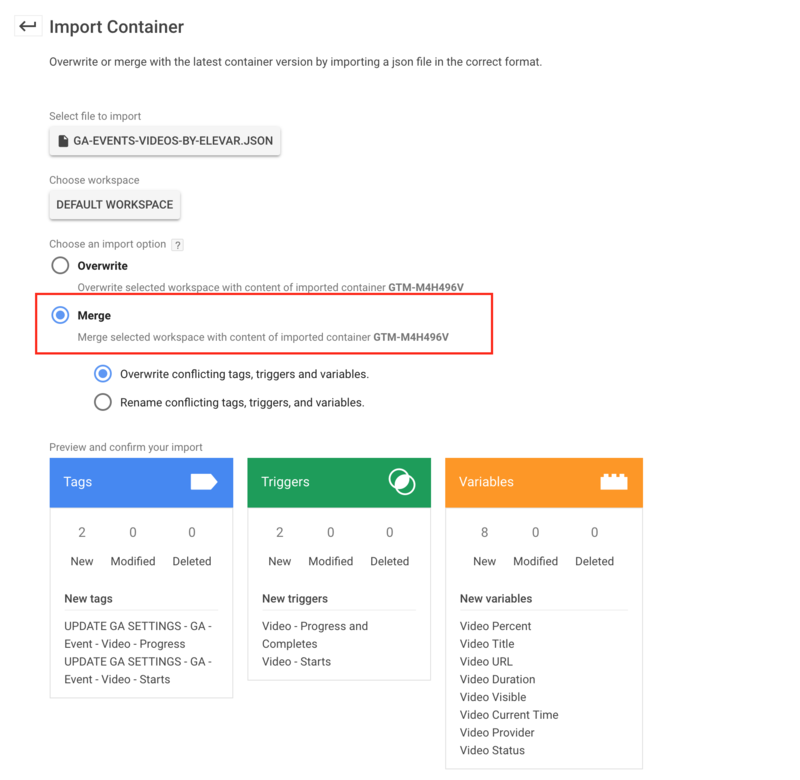 This recipe is for creating Universal Analytics Event Tags in Google Tag Manager for tracking customer interactions with videos on your website. For example, you might want to track the % of users who start a video on product pages and how that translates to conversion rate changes. You’ll find (2) tags, (2) triggers, and (8) variables. 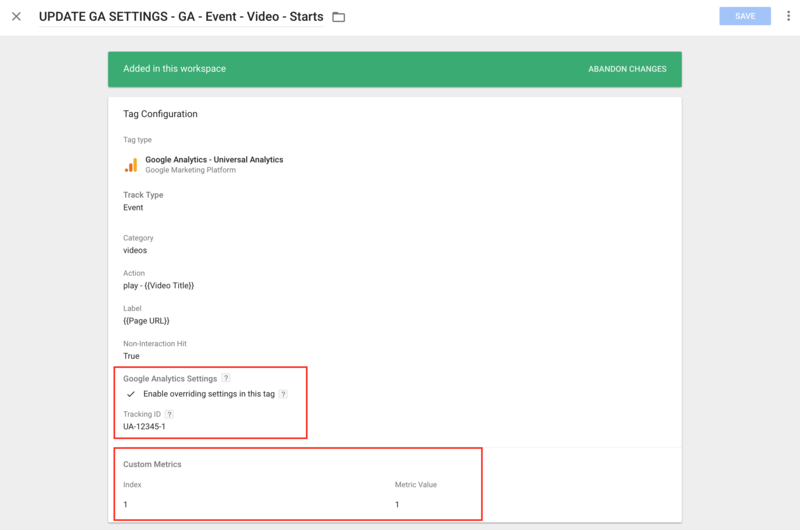 In each of the tags shown above, you will need to modify the Google Analytics Settings that is circled below. 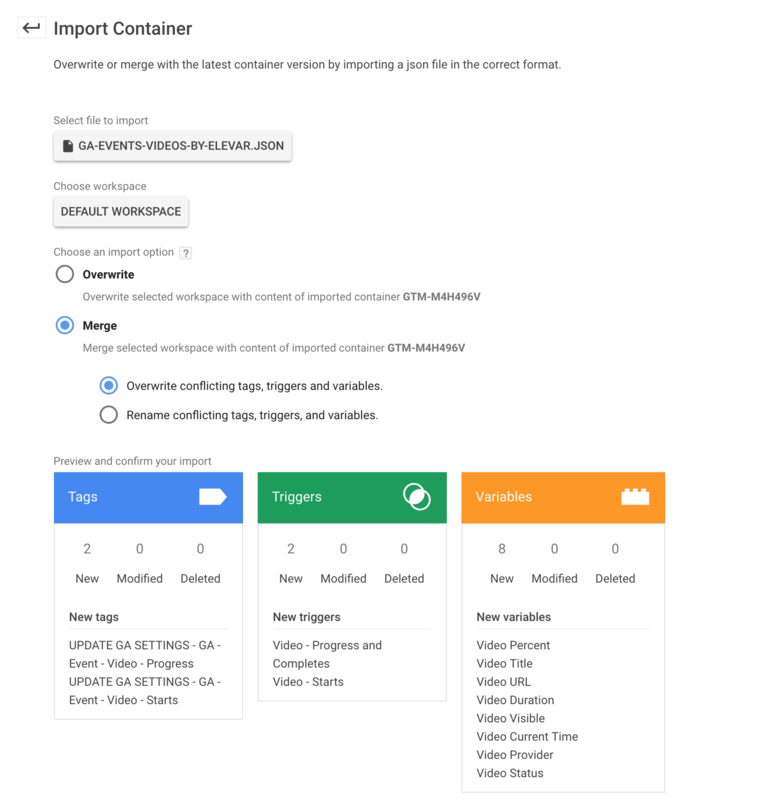 If you have a Google Analytics variable already created then you can assign yours here. [optional] Here at Elevar, we like to push custom events for all video starts so we can analyze these important interactions through calculated metrics. You can see how we accomplish this in our related GTM video guide.